Discover what the true element of your home is! January 12th 2011 - Ever paint your front door or made some other changes to your home or office on the advise specifically given in a book or web site on Feng Shui? Then you waited and waited in expectation like a kid for Santa, praying he’d deliver the gift of auspicious chi. However you got the Grinch instead and he brought you a sack full of bad luck? If so, you’re not alone. So many times I’ve heard this scenario from people who are inquiring about my services. They know Feng Shui works. After all, they reason, everything did change dramatically after either painting the door, or room, or adding the addition from advise in a book, but the changes were bad - not good. They just don’t know what went wrong. Hopefully in my articles I will be able to clear up a lot of erroneous beliefs and fallacies on the Ancient Art of Placement and get the chi flowing in a better direction in your life in the process. If you’re thinking right now that the cost of painting the entire house is beyond your current budget or that your townhouse rules would prohibit it, don’t worry. Once you learn to correctly evaluate the exterior, you can make corrective color cures without having to paint the entire outside of the house. We will spend one week going into corrective measures for houses that cannot be painted. Of course, if you are planning on painting or purchasing a new home, you will be able to make the very best Feng Shui choice. After picking the most auspicious house color, we will advance in the weeks to come on learning the most fortunate colors for your home’s driveway, bottom trim, shutters, front door, garage door, window boxes, roof, and then proceed on to lucky landscaping tips. What determines the building’s element is the Five Elements. The Five Elements are: water, wood, fire, earth, and metal. Each of them are represented by it’s own color, shape, texture, pattern, and compositional materials. When you master the elements, you can create a truly harmonious Feng Shui space. Each element helps create and support another element. Conversely, each element can drain or destroy an element. The two cycles of life are called the Creative Cycle and the Destructive Cycle. The Creative Cycle is as follows: Fire creates Earth (ash), Earth creates Metal (minerals), Metal creates Water (when cold water is in a metal container it condenses on the outside), Water creates Wood (trees need water to grow), and Wood creates Fire. The Destructive Cycle is as follows: Wood growing in the ground upheavals Earth, Earth dams and constricts Water, Water extinguishes Fire, Fire melts Metal, and Metal chops Wood. If a cycle is Constructive or Destructive, it does not denote positive or negative energy as in our Western viewpoint. Instead to the Eastern mind, it is simply the cycle of life and recycling of energies. To truly master the concepts of Feng Shui, you must become like a child and let your imagination take control. WOOD BUILDINGS: If you look at a tree, you will see that it is tall and upright. Therefore, tall, straight buildings, columnar structures, and even soaring skyscrapers made of stone and cement are all considered wood buildings. FIRE HOMES: Flames are pointy. Steeply- pointed roofs, spires, and similar sharp roofed structures represent fire element buildings. EARTH HOMES: The ground is flat. Consequently, earth element buildings are square, boxy, with flat roofs. METAL HOMES: Metal’s shape is round like a coin. Buildings, which have domed or rounded roofs or are circular in shape, are metal. WATER HOMES: Water has no shape and every shape. Buildings that have bizarre, complex shapes that are more rounded than angular are water. 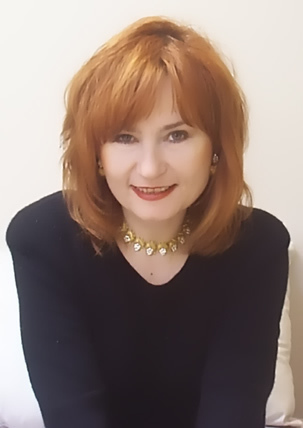 Judith Auora Ryan is a Feng Shui Master who lives in Bayonne, NJ. Judith’s Feng Shui practice specializes in home, office, and business environments. Many multi-million dollar corporations, risk management firms, doctor’s offices, hospitals, restaurants, law firms, and retailers have commissioned her. Judith is a charismatic public speaker and seminar leader and lectures in the United States and abroad. Her lecture expertise has been engaged by the top world cruise lines to enlighten and entertain their passengers. She is a popular guest on radio and television stations. She taught at Middlesex College in Edison, NJ courses on Feng Shui and the Tao of Color from 1993 to 2004. Judith wrote an Astrology column for NJ Holistic Magazine from 1993 to 2003. For additional information please go to www.FengShuibyJudithRyan.com or phone 201.858.1689.